Rosencrantz and Guildenstern would be impressed — this post is somewhat a blog post about a blog post about blogging. – Blogging is hard. You have to dedicate time on a regular basis to writing and it is not part of a traditional pattern for most people. It is also just hard to “put yourself out there”. – There is uncertainty about what to write. Some Superintendents use it as a journal (like Monica Pamer in Richmond) to tell stories; others use it more for district news (like John Lewis in North Vancouver). There is no one right answer, but it is hard to determine “what” the Superintendent should write about. I have always tried to be broad – some of what I write is what I see in our district, some is what I think about education trends and some is future-focused in areas that may not be directly linked to education. – If you don’t have an audience, it can be discouraging. With so many people joining the blogging community, it can be hard to gain an audience. While the role of Superintendent will immediately get some traffic, the numbers may be small to start. One has to see blogging as at least as much about the personal reflection to find it fulfilling. – If you blog and don’t participate in the digital community, you likely won’t stick around. I would see some people blog but would not follow this up by engaging via Twitter or even responding (or soliciting) comments on the blog. The community is part of the power. Some who blog are really just writing newsletters online. – The job action. I think it was hard to figure out just what to say during the strike, and very few district leaders blogged. The few who were engaged in social media often got targeted as the face of BCPSEA (B.C. Public School Employers’ Association) and at times the government, so may have thought there was no need to put themselves through that unnecessary backlash. For those new to the community – even in senior district roles – this can be intimidating. Nobody likes to be publicly criticized. 1. They are connected to and engaged in online networks. 2. They are makers with (and without) technology. 3. They are innovators and support innovation. 4. They are models for learning both online and off. 5. They see curriculum as strategy. 6. They facilitate an “ever-evolving” vision for teaching and learning in their schools, with (or without) technology. 7. They are literate in modern contexts. It was a timely reminder from Will, and as much as I was giving Janet a series of reasons why leaders might not engage in modern learning, Will reminds us that it is our responsibility to be engaged — so I think it is not about any particular role like a superintendent, principal or teacher — we all need to be modern learners. No excuses. Fabulous reflection. I know my ‘blog-a-day challenge’ is sometimes very tough, but love the reflection it forces me to do! As for target audience, I love it when blogs such as my ‘rant on anxiery’ are widely read and shared, but really I hope my kids read it later in the same light as I read my fathers reflections! Mines just more visible/transparent than his black notebooks! You are the Cal Ripken of #bced bloggers. I am so impressed with the volume and depth of your reflections. You are a great model for the rest of us. And yes, it is a wonderful portfolio of life and I am sure our blogs will be even more important five years from now as we and those around us, look back. One of the things that I think superintendents miss out on is that blogs can become a tangible way to prove to teachers that you know what the heck you are talking about! In our large district — and in my large school — having the kinds of personal interactions on a regular basis with every member of a faculty that leave teachers convinced that a principal or superintendent is worth following and believing in is hard to do. There are just too many demands on all of us to make that happen. But transparently sharing your thinking on a blog is an easy way to say, “Here’s what I know. This is what I believe. Here’s why it matters” to everyone all at once. Affecting meaningful change means getting other people to buy into your vision of what should be. That buy in starts with standing transparently in front of everyone — something that makes blogging an essential key for school leaders. Hope you are well, Pal — and hope we meet in person someday. Thanks Bill – good thoughts. I absolutely think if we (teachers, administrators etc.) believe our students need to learn in a new way then we need to model it. There are far too many people talking about students producing for a public audience who would never try it themselves. We do need to go where the kids are. Yes – look forward to picking up our digital conversations in the face-to-face world – hopefully soon! Great post! I agree that it is hard to put yourself out there. I had stopped blogging as well as I was also finding my blog wasn’t getting read and I really didn’t know what to write about, however, I think I have now figured out what works for me. I now blog once a week, and write about issues or ideas that are important to me in or for my job as a principal. I also have a school blog which is working very well in connecting with my school community. Joining a group on twitter #bcedbloggers where I have committed to blogging once a week has made blogging more interesting for me too because now I am following a group where we are all quite similar. I used to write short stories as I love to write, but finding the time to write has been difficult. And finding an audience was also difficult. This is a great way to enjoy the writing process, all the while connecting to the education field. Thanks Silke. I think trying to blog once a week is a good goal – one I also try to meet. You want to be regular and consistent, but also be manageable. I think a key for those new to blogging is to not obsess about the audience – blog to reflect and the audience will come over time. I do think the more storytellers we have in the BC public education system the better – talking about what we are doing and where we are going. If we don’t tell our own stories nobody will. 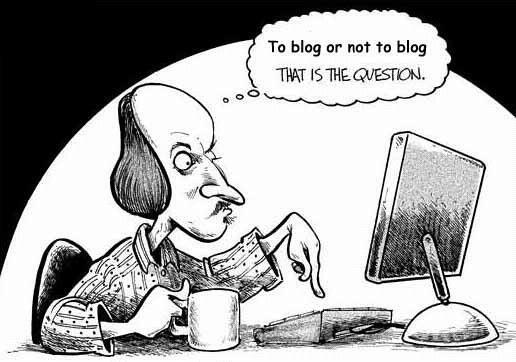 Chris, I just posted my own ‘to blog or not to blog’ musings – http://theeduflaneuse.wordpress.com/2014/11/16/why-educators-should-blog/ – and then opened my WordPress Reader to find your post about the same! I definitely see the power of storyteling and blogging for readers. As a novice blogger I am negotiating the challenges of being one of those voices. Chris, thank you for sharing this important article by Will. I love it, because it provides some signposts to me about where I can learn more. I appreciate your thoughts on blogging too; it really is a discipline. I use mine for personal reflections and growth, and I always hope others will read it! Thanks for this Chris, I am using my blog to write about things that are happening in our schools to connect with a community audience. Sometimes I will reflect on things I am learning as well, but to this point as musing it more as a communication vehicle about our efforts to “engage students in meaningful and relevant learning experiences.” Appreciate your role as the un-official social media champion for the rest of us to whom it is not yet quite a natural part of our practice. Keep it up! Thank you that is very kind. I love to follow yours and other Superintendents in BC – it is a great way to keep a pulse on what is happening in our province. I always enjoy your posts, Chris. It was a simple, yet incredibly effective way for new bloggers to build a network, develop an audience and participate in some amazing learning. I wonder why it hasn’t been done more. The more you blog, the easier it gets (I THINK in blog posts now!). My tip to new bloggers is to forget about making an impression and just write, whatever you happen to be thinking about, in your OWN voice. It doesn’t matter if it’s not perfect, you can write another post next week.